1972-1975 Jeep CJ heavy duty telescopic steel steering shaft. Connects from factory column to steering box. For Jeeps with manual steering. 1976-1986 Jeep CJ heavy duty telescopic steel steering shaft. Connects from factory column to steering box. For Jeeps with power steering. Includes vibration reducer upgrade. When lowering your truck or SUV, many things on your vehicle can change and be put out of their operating range, causing unwanted issues such as: Incorrect Wheel Alignment, Increased tire wear, Driveline Shudders/Vibrations etc. Not to worry, Belltech has you covered with its line of Front End, Driveline Alignment Kits & Pinion shims. 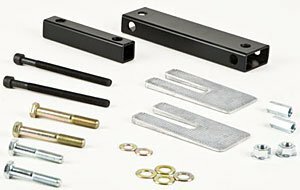 Front End Alignment kits: Belltech alignment kits provide you the solution for all of your alignment needs. A typical Belltech front end alignment kit will consist of new eccentrics for the upper control arms which provide increased range of adjustment (typically up to 2 degrees) above and beyond what is offered from the factory. Driveline Alignment Kits, Driveshaft Spacer - Universal Pinion Shims - Center Carrier Bearing Kit. If more adjustment for proper rear driveline angle is required, then our Driveline Alignment Kits are your solution. 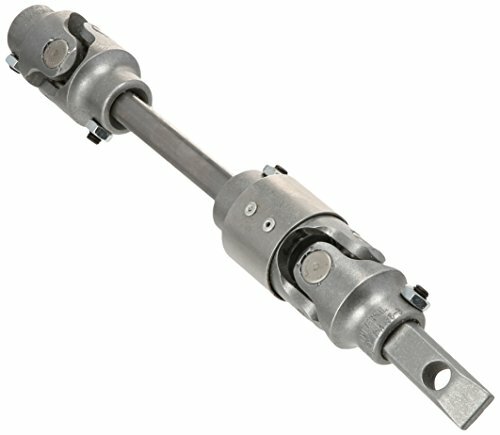 Steering ShaftSteering Shaft AssemblySteering Shaft Assembly; Telescopic; Steel; Upper Shaft; Connects From Steering Column To Either Factory Or Borgeson Lower Steering Shaft; SPECIFICATIONS: Color: Natural Steel Diameter: 1 in. End 1 Type: 0.750 in. DD End 2 Type: 0.750 in. 36-spline Finish: Natural Steel Length (in. ): 24.50 Material: Steel Mounting Hardware Included: Yes New Or Remanufactured: New Position: N/A Universal Joint Quantity: 2 Universal Joints Included: Yes WARNING CA Proposition 65: Yes WARNING CA Proposition 65 Message: WARNING: This product can expose you to chemicals including Nickel and Chromium (hexavalent compounds) which are known to the State of California to cause cancer or birth defects or other reproductive harm. FEATURES: Steering Shaft Jeep's original steering shaft assembly was not designed for the added stress of body lifts and oversize tires. Borgeson's replacement assembly has a telescoping shaft with two precision needle bearing u-joints. The steering assembly is easy to install with common hand tools. Once installed, you will experience much tighter and more responsive steering.The Borgeson Universal Company has been manufacturing steering universal joints and components for the industrial, automotive, military and aerospace markets since 1914. Purchased by the present owners in 1982, Borgeson continued to develop and refine our original needle bearing universal joint into the finest and strongest joint you can buy. Seeking to expand, Borgeson purchased Mullins steering gears in 2001 and combined the two businesses into one central, 50,000 square foot modern manufacturing facility. Borgeson has continued to develop and produce the most dependable steering components available. The Competition Engineering Tubular Driveshaft Loop Kit is designed to offer a lightweight, weld-in alternative to the bolt-on driveshaft safety loop. They are mandrel formed from 1.25 inch outside diameter and 0.083 inch wall mild steel tubing. This rugged kit helps to contain the driveshaft in the event of a U-Joint failure. This kit also features a bolt-on loop for easier driveshaft access in cars with removable transmission tunnels. It requires welding. 1979-1993 Mustang Steering Shaft. 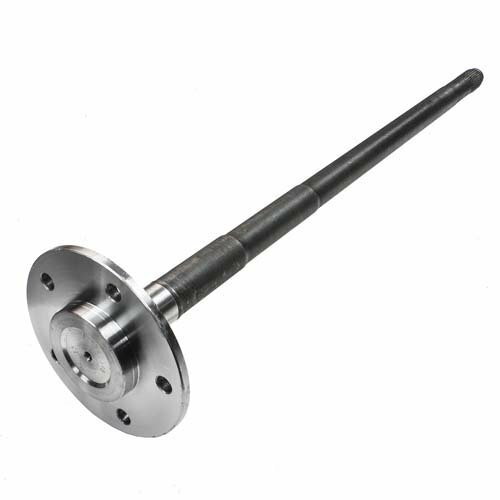 Heavy duty steel steering shaft. Connects from OEM column to power steering rack. With vibration reducer. Billet steel universal joints provide a more positive steering feel and eliminate the factory rag joint for additional header clearance. 1979-1993 Mustang Steering Shaft. Steel. Connects from OEM column to power steering rack. With vibration reducer. Steering ShaftSteering Shaft; Steel; 3/4 in. Dia. 36 Splines; 36 in. Long; Splined 1 in. 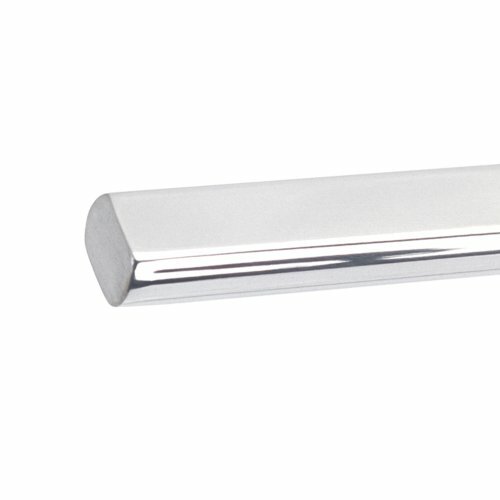 ; Splined One End Only;SPECIFICATIONS:Color: Natural SteelDiameter: 0.750 in.End 1 Type: 0.750 in. 36-splineEnd 2 Type: 0.750 in. without splinesFinish: Natural SteelLength: 36.000 in.Material: SteelPosition: N/AUniversal Joints Included: NoWARNING CA Proposition 65: YesWARNING CA Proposition 65 Message: WARNING: This product can expose you to chemicals including Nickel and Chromium (hexavalent compounds) which are known to the State of California to cause cancer or birth defects or other reproductive harm. For more information visit: www.P65Warnings.ca.govFEATURES:Steering ShaftBorgeson steel splined steering shafts have a 3/4"-36 spline. 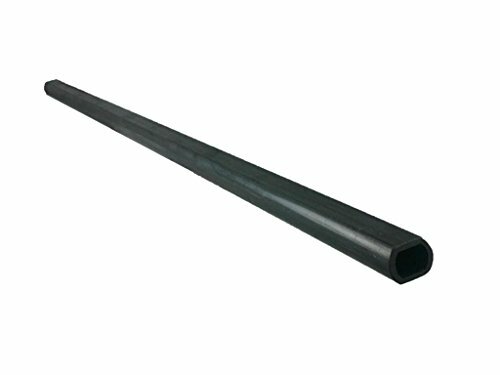 Steel shafts have 2" of spline on each end and are available in 2" increments from 2"-36". These can easily be trimmed up to 1" off each end for a precise fit.The Borgeson Universal Company has been manufacturing steering universal joints and components for the industrial, automotive, military and aerospace markets since 1914. Purchased by the present owners in 1982, Borgeson continued to develop and refine our original needle bearing universal joint into the finest and strongest joint you can buy. Seeking to expand, Borgeson purchased Mullins steering gears in 2001 and combined the two businesses into one central, 50,000 square foot modern manufacturing facility. Borgeson has continued to develop and produce the most dependable steering components available. 1973-1978 Full size Chevy & GMC heavy duty telescopic steel steering shaft. Connects from factory column to steering box. Includes rag joint flange and billet steel universal joint. You may already have experienced a clunking or ratcheting feel in the steering of your 2000 or newer Chevy truck. Borgesons direct replacement assembly is a permanent solution to the problem. 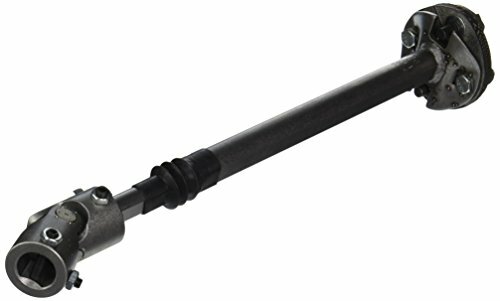 2000-2008 Full size Chevy & GMC heavy duty telescopic steel upper intermediate steering shaft. Connects from factory column to lower steering shaft. Includes billet steel universal joint. 1970-1979 Ford truck heavy duty telescopic steel steering shaft. Connects from factory column to steering box. Extreme duty with billet steel universal joint and vibration reducer upgrade. Steering ShaftSteering Shaft; Steel; 1 in. Double D Full Length Of Shaft; 36 in. Long;SPECIFICATIONS:Color: Natural SteelDiameter: 1.000 in.End 1 Type: 1.000 in. DDEnd 2 Type: 1.000 in. DDFinish: Natural SteelLength: 36.000 in.Material: SteelPosition: N/AUniversal Joints Included: NoWARNING CA Proposition 65: YesWARNING CA Proposition 65 Message: WARNING: This product can expose you to chemicals including Nickel and Chromium (hexavalent compounds) which are known to the State of California to cause cancer or birth defects or other reproductive harm. For more information visit: www.P65Warnings.ca.govFEATURES:Steering ShaftBorgeson 1" Double-D steering shaft tubing is available in steel only. The advantage to Double-D shaft is the flexibility it offers. This is the standard 1"DD tubing used on many General Motors vehicles.The Borgeson Universal Company has been manufacturing steering universal joints and components for the industrial, automotive, military and aerospace markets since 1914. Purchased by the present owners in 1982, Borgeson continued to develop and refine our original needle bearing universal joint into the finest and strongest joint you can buy. Seeking to expand, Borgeson purchased Mullins steering gears in 2001 and combined the two businesses into one central, 50,000 square foot modern manufacturing facility. Borgeson has continued to develop and produce the most dependable steering components available.